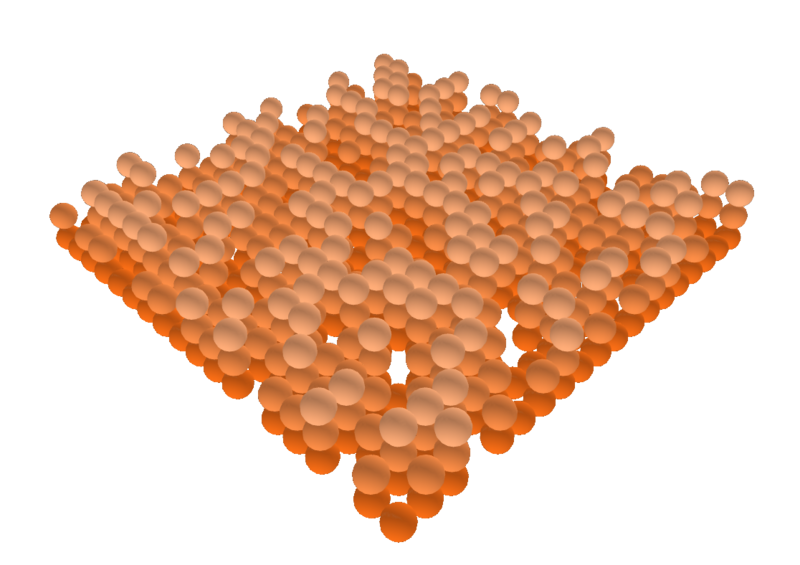 This is a famous sandpile model, which you can easily manipulate and experiment with in a web browser. 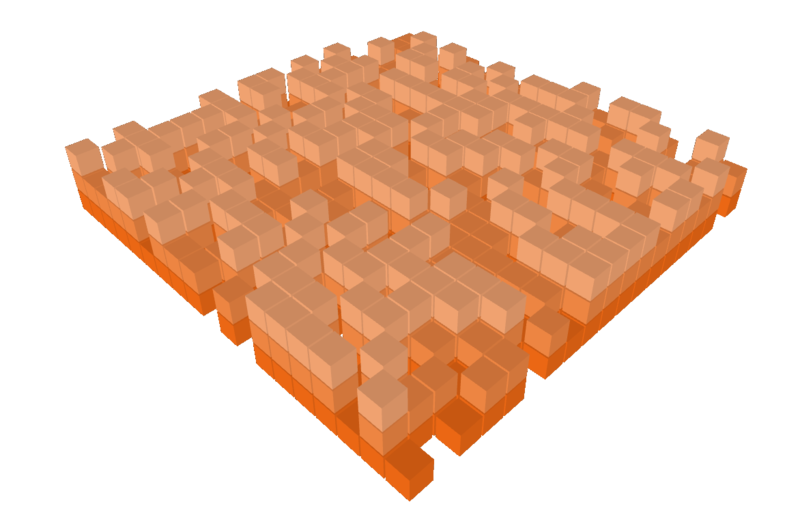 Per Bak invented this model, which shows self-organized criticality. The rules are so simple you can use toy blocks to illustrate (Per Bak recommended using lego blocks). You add blocks and when a stack reaches four or more you spread out the blocks to the neighboring spaces. The result at first is growth but then results in quakes of all sizes.